I love the detail-level. Very impressiv. 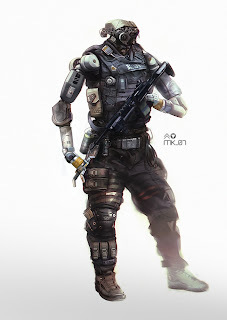 A month ago I tried my self on a soldier too, on my daily sketching blog. But I didn´t even closly caught the feeling like that one. Maybe you have got any tips for me and my overall workflow? Arrg, c'est trop bieenn, j'adore ta touche !